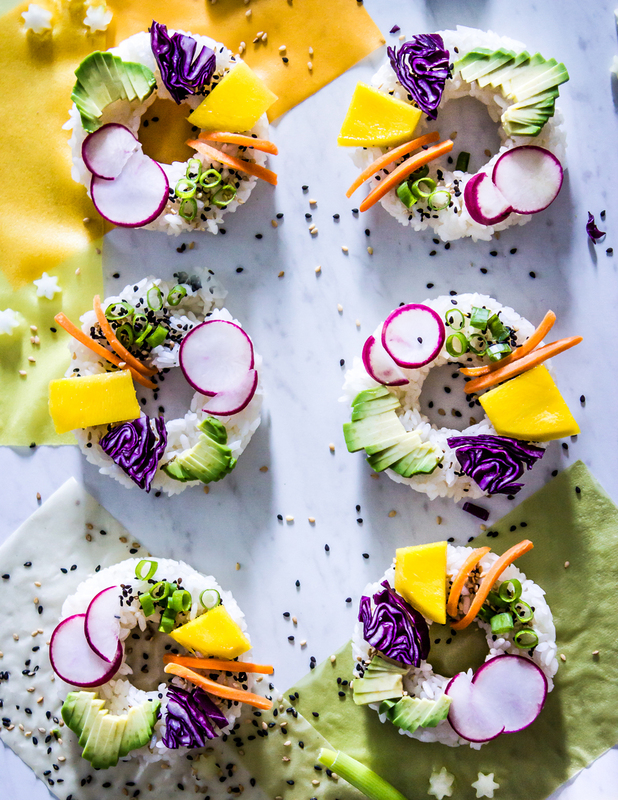 today, I bring you a fresh new take on sushi, without the fish, loaded with color, and in the shape of a donut! 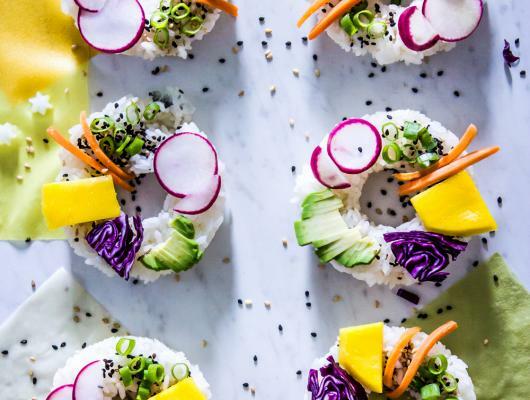 Most of us know we should be eating the rainbow to get a variety of vitamins and minerals, but it might be hard to get them all in one meal. That’s one of many reasons why I love this recipe.